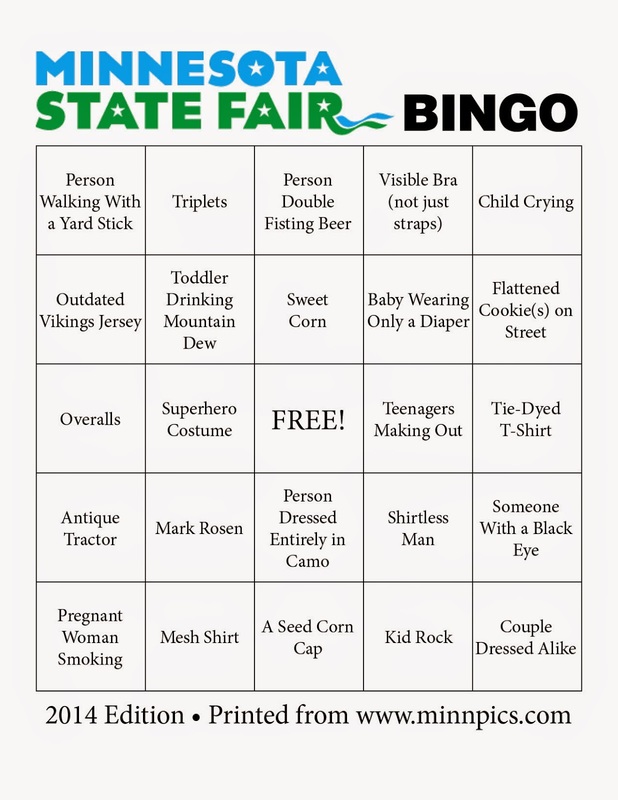 The Minnesota State Fair begins tomorrow marking the official winding-down of summer but that also means that it's time for some spectacular (and fun) people watching. 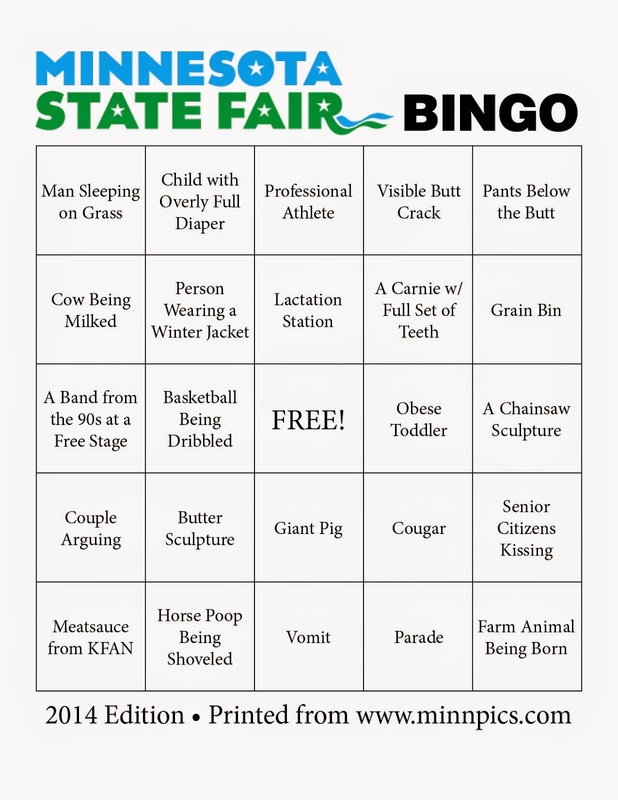 Have some fun with it with a whopping FOUR Minnesota State Fair Bingo Cards!!! Each one is completely unique and features odd clothing choices, foods, local media personalities and so much more! Print, share and enjoy! 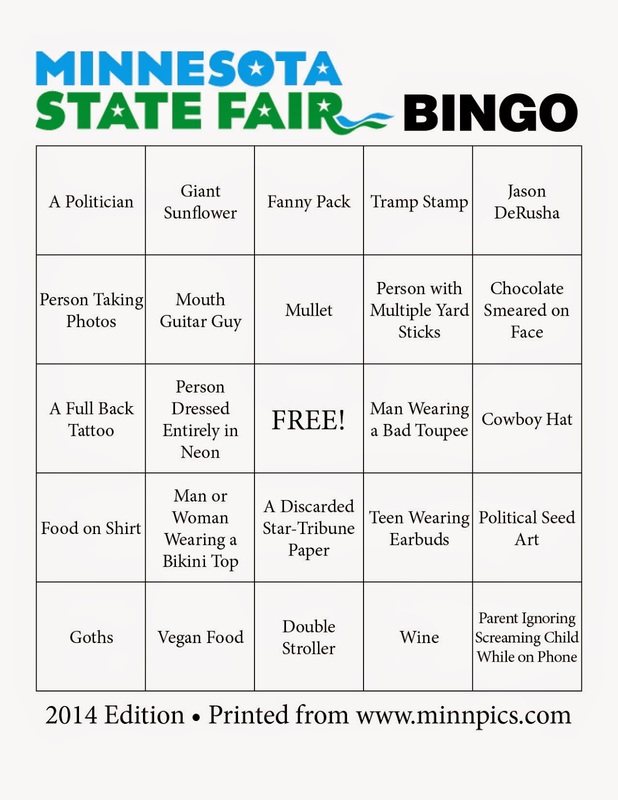 Be sure to check out the Minnesota State Fair food photos as you head out to the fair for some bingo action! This just tells me that Minnesota is very white trash in certain ways. Hell yeah we are! The person who put these together sure must be perfect. It must be just torture to spend time with people with different tastes, appearances and behavior. Let's all move to Stepford. Wow...get a sense of humor. Minnesota Liberal sense of humor. AWESOME! Ican't wait to play! The State Fair is awesome people watching! Also love the comment, "Don't like fun? Don't play!" That was the best comeback possible. Personally, I would have gone with "Pull the stick outta your arse", but that's just me. 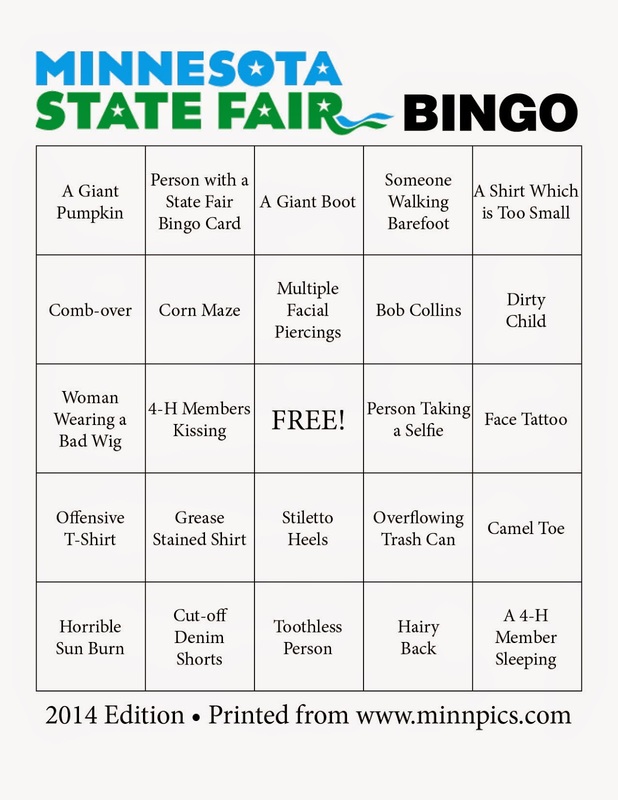 Please be in my BINGO card tomorrow!